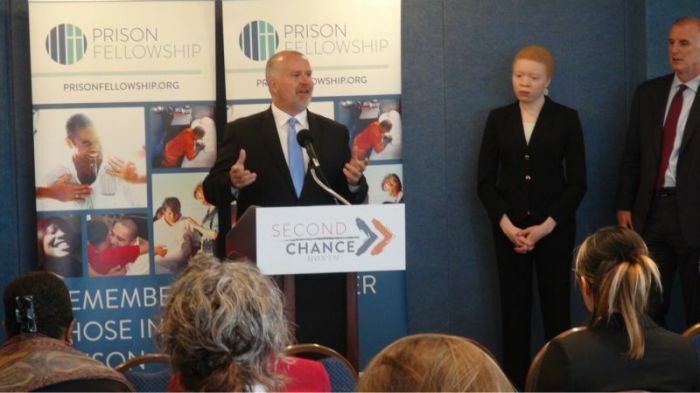 WASHINGTON — A diverse coalition of leaders are uniting to combat problems in the criminal justice system, designating April as "Second Chance Month" for the 1 in 4 Americans adults who have a criminal record. Gathered in the First Amendment Room at the National Press Club Thursday in front of about 20 people, Prison Fellowship announced its initiative "Second Chance Month," which aims to draw awareness and call for reform of the mountains of obstacles prisoners face trying to reenter society after serving their sentences. Craig DeRoche, former Michigan House Speaker and Senior Vice President for Policy and Advocacy for Prison Fellowship hailed the meeting as important to who we are as Americans. "Today, 65 million American adults have a criminal record, that is one in four adults," Deroche said. After people have paid their debt to society, they should be restored to citizenship, he continued, "but in America today, we tolerate the polar opposite." 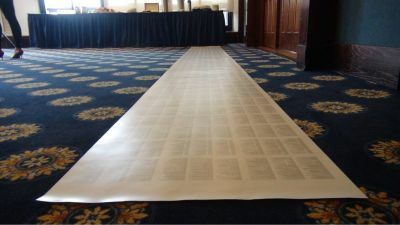 "Each of our fellow citizens who has a criminal record is subjected to a life sentence of seemingly indiscriminate and debilitating punishment," he added, holding up a 24 foot-long scroll of over 24,000 federal, state, and local legal restrictions and regulations that weigh on those who have records. DeRoche told The Christian Post following the meeting that the regulations on the scroll were printed in the smallest available font and represent only half of the restrictions currently on the books. Reforming the justice system is a cause around which people of varying political persuasions can unite, he said. DeRoche himself received a one such second chance. In 2010 he was arrested twice — both of which were alcohol-related — entered rehab soon thereafter reengaged his faith. He recounted the story in a 2015 memoir titled Highly Functional: A Collision of Addiction, Justice, and Grace. The current system that we are up against, DeRoche said, "is immoral." "There is no scriptural basis for [Christians] to condescend or lower someone's humanity and their worth based on something that they have done in the past, especially when they have paid it back," he said. "Christians should be very troubled by any structure that indiscriminately devalues human life and disregards human beings. And that's essentially the scheme that we've created with all kinds of collateral consequences." DeRoche also noted that the church needs to be awakened to these troubling realities and too often Christians do not see the whole picture, thinking only on a local level. "We tend to think as Christians whenever we hear about these systemic issues in America that have gone south we say 'well that's not true in my congregation.' But mathematically it has to be true." "Every congregation has people that if it isn't them personally, people that they know and love have been affected by falling into an addiction, broken the law, spent the night in jail," DeRoche said. Leaders who spoke at the gathering in support of Second Chance Month included a wide variety of groups that span the spectrum philosophically, including Udi Ofer of the American Civil Liberties Union, Ngozi Ndulue of the NAACP, John Malcolm of the conservative Heritage Foundation, and Mark Holden of Koch Industries. 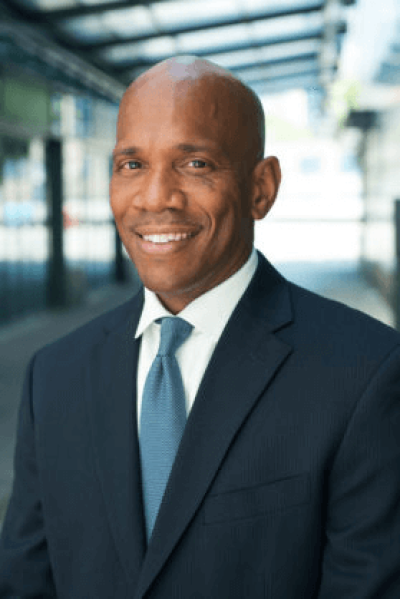 The groups of leaders was brought together by Steven Hawkins, president of the bipartisan Coalition for Public Safety whom CP interviewed on Oct. 3. "I think there is an opening now [for real reform]," Hawkins said in an interview following the speakers presentation. "People are looking for something that bridges ideological divisions...to be able to have conversations that bridge both the left and the right, coming together with an understanding that we have to do something around justice reform," Hawkins said. "This is the one issue that really can unite Congress and the country," he added. Prison Fellowship is the nation's largest Christian ministry serving those in prison, former prisoners and their families, and is a leading advocate for criminal justice reform, founded in 1976 by Chuck Colson.